We’d love your help. Let us know what’s wrong with this preview of The Mother-in-Law by Judy Moore. Everything seems idyllic until they arrive at her husband's oceanfront home, and she meets her mother- After a whirlwind romance, a young woman from California makes a rash decision and marries a handsome Floridian after knowing him for only one month. To ask other readers questions about The Mother-in-Law, please sign up. Victoria meets Brad in Las Vegas and after a month, they get married there. But he lives in Florida, so she packs up everything to move their with him. Little does she know there is a mother-in-law living in the house along with Brad's son. Each day reveals something else about her new mother-in-law that is not only suspicious but also very scary. As the secrets and lies come out, Victoria finds herself with a decision to stay or leave. But her love for Brad might also put her in danger. Loved thi Victoria meets Brad in Las Vegas and after a month, they get married there. But he lives in Florida, so she packs up everything to move their with him. Little does she know there is a mother-in-law living in the house along with Brad's son. Each day reveals something else about her new mother-in-law that is not only suspicious but also very scary. The perfect man! What about his mom? He thinks she’s perfect. She’s not. New husband, town, home and family. This is the dream life Victoria thinks she’s walking into after marrying Brad. Victory’s life slowly turns into a living nightmare. Page turner. What a plot. The house they live in is so crucial it becomes its own character. The Mother In Law by Judy Moore is a great read. From the beginning I was pretty intrigued. This is an easy light read even though some of the content isn’t. I figured some plot stuff out but other things I didn’t until almost the end. I read this pretty quickly and found myself wanting to find out what happened during the day but I just didn’t have time to read it all in one day. I was rooting for Andy, Brad and Victoria and I found it a bit frustrating that he was so blinded by his mother. I k The Mother In Law by Judy Moore is a great read. From the beginning I was pretty intrigued. This is an easy light read even though some of the content isn’t. I figured some plot stuff out but other things I didn’t until almost the end. I read this pretty quickly and found myself wanting to find out what happened during the day but I just didn’t have time to read it all in one day. I was rooting for Andy, Brad and Victoria and I found it a bit frustrating that he was so blinded by his mother. I kept thinking how can he not see this? Or is he really going to make another excuse for her. I think it ended well even though I was a little sad. Overall I really enjoyed it and would rate it 4 stars. When I first read the blurb for this book I was intrigued. I knew it probably wasn’t something like I usually read but I was interested. I actually really enjoyed the book; it was a real intriguing read. There were quite a few twists and turns along the way and there was no way I was expecting that ending! I liked the characters and hated some of them! I thought the author wrote a really good, twisty plot line that kept my interest throughout. I had a little love/hate relationship going on with Brad, on one hand I liked the way he was with Victoria, I thought that they had a genuine bond but on the other hand his relationship with his mother was a little creepy! I admired Victoria for standing up for herself and I loved the bond she formed with Andy and he was a pretty sweet little boy. I liked how the author managed to keep what really happened concealed until the end. This is the first book that I have read by this author but I would like to read something again from her in the future. The Mother in Law is a great read from Judy Moore. This is my first book from this author, and after reading this book I would definitely buy more of her work. I found the book to be a little slow to begin with, as the author laid the foundations to the story- there was some information that really wasn’t needed, a lot of details that slowed the flow and just seemed to draw out/prolong the lead up into the story. The book is promoted as a thriller, but I felt that it was more ‘suspenseful’ and didn’t quite make it to thrilling, because there needed to be more tension, drama, intrigue and gripping developments earlier on in the plot to make it a true ‘thrilling’ experience. Having said that though, this story is still very good, and I would recommend it as I did enjoy reading it. I was shocked at how evil, conniving, deceitful and vicious the mother in law was, and the last half of the book held my attention completely as the story unfolded. I was rooting for Victoria, Brad and Andy- but Brad frustrated me at times when he couldn’t see how his mother was manipulating everything and everyone. Even when things were revealed, he still didn’t take real decisive action. I just wanted to shake him and tell him to get his act together. I look forward to reading more from Ms. Moore in the future. The Mother-In-Law is my first Judy Moore read and likely not my last. This fast paced read is 4 stars in my eyes, the plot was consistent and never over the top while still keeping my interest throughout. I loved Victoria and found myself cringing throughout much of what she endured while rolling my eyes and thinking “oh come on” at some of the antics she was put through. I wanted to step in and intervene for her sake! I found myself sympathizing with Victoria instantly and hoping that she would The Mother-In-Law is my first Judy Moore read and likely not my last. This fast paced read is 4 stars in my eyes, the plot was consistent and never over the top while still keeping my interest throughout. I loved Victoria and found myself cringing throughout much of what she endured while rolling my eyes and thinking “oh come on” at some of the antics she was put through. I wanted to step in and intervene for her sake! I found myself sympathizing with Victoria instantly and hoping that she would stay true to herself throughout the story. The supporting characters were also well built from friends to those you love to hate. I enjoyed my quick break from reality in this mildly creepy, suspenseful thriller and look forward to more Judy Moore in my to be read list. This story was a good read. It was a little predictable, but at the same time kept me turning each page to find out just out the twists and turns would go. The author did a great job with her descriptions as I could visualize the book in my head as I read each chapter. It was like watching a movie in a way, which is a great writer when they can get that through to the reader. I would recommend this book to anyone wanting a good quick read, as it is a good book. of my Goodreads friend Trish. “The Mother-in-Law” by Judy Moore. Victoria and Bradley meet on a course and, after a whirlwind romance, marry. But is it a case of ‘Marry in haste; Repent at Leisure’? Victoria marries the man of her dreams after a whirlwind romance and gives up her home, friends and family to move with him to his house in Florida. However, she finds that Brad has not been completely open with her and that, amongst other things, he expects her to live in the family home with his over-bearing, domineering mother. “The Mother-in-Law” by Judy Moore. Victoria marries the man of her dreams after a whirlwind romance and gives up her home, friends and family to move with him to his house in Florida. However, she finds that Brad has not been completely open with her and that, amongst other things, he expects her to live in the family home with his over-bearing, domineering mother. From the first moment they meet she can tell that Madeline (Brad’s mother) doesn’t like her and seems to resent her presence. Brad’s five year old son however, takes to her straight away and within a few hours is calling her ‘Mommy’. Very shortly, it seems to Victoria that Madeline is purposely undermining everything she does or says and appears to be deliberately sabotaging Victoria’s and Brad’s marriage and relationship with Andy. Victoria has never lived in a beach house before and, whilst walking along the beach meets William, their closest neighbour. Right from the start William warns Victoria to move out as soon as she can and suggests that Madeline is evil. William also discloses to Victoria facts about Brad and his previous marriage(s) that Victoria was unaware of. When Lana, a colleague of Victoria’s from her new job, who is also an ex-girlfriend of Brad’s also reveals secrets that Brad has kept from her; Victoria starts to feel very worried and threatened. Brad had given Victoria the impression that he had been married only once before when he has actually been married twice; both of his wives dying in what might be called ‘suspicious circumstances’. With each day that passes under Madeline’s overbearing, critical eye and with more and more previously undisclosed facts about Brad and his mother coming to light, Victoria feels that she has to get out before it’s too late. But will she? Although I found this book very easy to read I did find the characters’, in my opinion, to be lacking depth and substance. I would have liked more detail of their background and emotions and less detail of what clothes they were all wearing every day. This made the characters seem a little shallow and less likable. I also had trouble believing that Brad’s five year old son Andy would; only an hour or two after meeting Victoria for the first time spontaneously call her ‘Mommy’. The plot does move along quite nicely, if quite conveniently at times, due to the conversations between Victoria and her neighbour William. Occasionally the dialogue seemed a little stilted and unnatural although I found that this didn’t really take away any enjoyment from the story. This was my first read by Judy Moore and I thought that it was a fairly good suspenseful read. I didn’t get as much of the thriller part that I had hoped for when I had read the synopsis, but over all it was a good quick read. What was supposed to be a job training trip to for Brad, turned into a whirlwind romance between him and Victoria. The two barely know each other for a month before they find themselves in a wedding chapel in Vegas saying ‘I do”. This isn’t really an issue for Victoria because she has no family left. Brad on the other hand has a staunchly mother and a five-year-old son back home in Florida. The big catch is Brad hasn’t told his mother that he has gotten married either. She can tell there is something lingering in the past that he doesn’t want to talk about but they early on made the pact to not bring up the past or ex’s. The drama begins right away after the initial meeting between Brad’s son Andy and his mother Madeline. Andy is thrilled to have a new mommy. Madeline is definitely not thrilled with the idea of a new woman in her home and family. Even little Andy reassures her that its ok though, or is it? There are some pretty crazy scenarios in this book but the ending takes the cake. Definitely worth reading. I wouldn’t like to in the future see what other works Judy Moore has out there. This book should serve as a life lesson for anyone who decides to marry a stranger, give up their life and move across the country for said stranger. Victoria and Brad have a whirlwind romance in Vegas while they’re both attending a training. Victoria is very naive. She believes she’s met the perfect man, married him, gave up everything in California to move to Florida, and then finds out that the perfect man is not a truthful man and has hidden some important things from her. I found Victoria an This book should serve as a life lesson for anyone who decides to marry a stranger, give up their life and move across the country for said stranger. Victoria and Brad have a whirlwind romance in Vegas while they’re both attending a training. Victoria is very naive. She believes she’s met the perfect man, married him, gave up everything in California to move to Florida, and then finds out that the perfect man is not a truthful man and has hidden some important things from her. I found Victoria annoying. She married Brad, after knowing him a brief time. She let important questions go without an answer. She agrees to never discuss exes with a man she’s going to marry and then gets upset because she finds information out about said exes. Let this be another clue, if a man isn’t going to talk about the important things in life such as exes, his son, or his living situation, don’t marry him! Don’t get upset because you were kept in the dark about his secrets! But, Victoria did get better throughout the book, once she developed a backbone. She’ll never be my favorite heroine, but I didn’t think as poorly about her towards the end of the book. I read the synopsis of this book, so I had some expectations going into the book. The Mother-in-Law was not a surprise, it is the title of the book after all. I expected her to be worse than she was, but she did have a lot of secrets she kept to hide her true self. Brad was weak and spineless and definitely showed why he needed to lie to find a wife in another state. There was a revelation about Brad and one of his wives that did not surprise me, at all. I think the real surprise for me was that he truly was so clueless because I thought he was in on everything his mother did. But, don’t get me wrong, I did enjoy this book! I don’t need to love the characters to enjoy a well-written mystery. :) There were secrets to figure out and an ending where a conclusion to everything was chaotic and crazy. It was also not the conclusion I was expecting! If you enjoy thriller/suspense/mystery books, then you should definitely check this one out! Also, again, never marry a man you meet in another state who refuses to talk about the important things and expects you to give up your entire life to follow him! Victoria Verducci has been in Las Vegas for a work conference where she meets Brad Reynolds, a single dad who she begins to hang out with every day. Before the conference is over Brad asks her to marry him and transfer from San Diego to Florida to be with him. But when Victoria arrives in Florida she realizes things are completely different than she expected with her mother-in-law, Madeline, living in the house. Victoria is frustrated with Brad not standing up to his mother and the lies his mom i Victoria Verducci has been in Las Vegas for a work conference where she meets Brad Reynolds, a single dad who she begins to hang out with every day. Before the conference is over Brad asks her to marry him and transfer from San Diego to Florida to be with him. But when Victoria arrives in Florida she realizes things are completely different than she expected with her mother-in-law, Madeline, living in the house. Victoria is frustrated with Brad not standing up to his mother and the lies his mom is telling, setting her up to fail. Will Victoria be able to convince Brad to move before it's too late? This was a good book that you have figured out right from the beginning what was going on and what had happened in the past but you need to know if Victoria will be the one to get away this time or defeat Madeline at her game. Victoria truly had no idea on what she was walking into and I was definitely mad at Brad for not having the guts to tell her ahead of time. Victoria was caring and was trying to do the right thing but nothing she did was good enough for Madeline. Initially I liked Brad but that went downhill pretty fast when they returned to Florida. But there were a couple of incidents that Madeline was hanging over Brad's head which made him afraid to stick up for himself or Victoria. I really liked Brad's neighbor, William, and how he let Victoria in on the past which filled in some gaps for her. The ending was pretty intense and I definitely did not see a few of the things coming! The Mother-in-Law by Judy Moore is a suspense thriller novel that would be more aptly titled monster-in-law. This book is the perfect poster child for why you should never marry someone that you haven’t known more than a month. Which is exactly what Victoria does. Too her it was a fairy tale; she found true love and put a ring on it as fast as she could. But not all fairy tales have a happy ending, especially if there’s an estranged mother-in-law. This was slow thriller book. It took a long time The Mother-in-Law by Judy Moore is a suspense thriller novel that would be more aptly titled monster-in-law. This book is the perfect poster child for why you should never marry someone that you haven’t known more than a month. Which is exactly what Victoria does. Too her it was a fairy tale; she found true love and put a ring on it as fast as she could. But not all fairy tales have a happy ending, especially if there’s an estranged mother-in-law. This was slow thriller book. It took a long time for suspense to build and motivations to be revealed, which after a while began to drag. I wish there was more suspense to this book, and there was more of a payoff in the end. A lot of the chapters felt as though they were acting as fillers to make the book chunkier, and didn’t add anything to the plot. Especially when comparing this book to Judy Moore’s Murder in the Vail, which had me hooked from the very beginning. In the end I found that I had no real connection to any of the characters, and their relationships didn’t affect me. Which truly is a shame, as I fell in love with the premise of the story, thinking I was in for book filled to the brim with suspense, but instead it all fell flat for me. I still loved the writing, and level of detail that went into in the book, as well as thought the idea was very creative, it just could have been executed a bit better. Alas, I still look forward to reading more from Judy Moore in the future. While in Las Vegas for work-related training, Victoria meets the man of her dreams, Brad Reynolds. And so begins the suspenseful novel The Mother-In-Law by Judy Moore. You know it’s too good to be true when in the first couple pages the heroine meets a great guy who hits all her buttons for what she is looking for in the perfect man: sweet, good looking, nice manners, not to mention a single father to a sweet little boy as well as a widower, you know something has to be wrong. After packing up h While in Las Vegas for work-related training, Victoria meets the man of her dreams, Brad Reynolds. And so begins the suspenseful novel The Mother-In-Law by Judy Moore. You know it’s too good to be true when in the first couple pages the heroine meets a great guy who hits all her buttons for what she is looking for in the perfect man: sweet, good looking, nice manners, not to mention a single father to a sweet little boy as well as a widower, you know something has to be wrong. After packing up her life in California and moving with her new husband to Florida, Victoria finds that her new husband may have forgotten to mention a few important facts…He lives with his mother, and the house they are moving into belongs to his mother. Makes for an uncomfortable situation, especially if you do something Madeline doesn’t like. The Mother-in-Law by Judy Moore was an okay read about how boundaries can get blurry and how obsession can turn deadly. Not my first read by this author, so I was excited to get my hands on this read. It played out kind of how I expected but still a pretty okay read overall. I have to say, I wasn't as drawn in as I was with this author's other works. For a fast read, I found the build up a little too blunt and straightforward, and there wasn't much mystery. There was so much that could have been The Mother-in-Law by Judy Moore was an okay read about how boundaries can get blurry and how obsession can turn deadly. I have to say, I wasn't as drawn in as I was with this author's other works. For a fast read, I found the build up a little too blunt and straightforward, and there wasn't much mystery. There was so much that could have been done, and for me, this read kind of missed the mark. The overall plot was good, I liked the characters, the twist, turns and, I very much liked the ending. There is a bit of a creep factor and, I think with a bit more work this book can rise up from just being an okay read to, something special. The actual writing is pretty good, a little choppy here and there, but I liked the flow and tone. Right away you know this isn't going to be light hearted, and once the actual sinister plot got under way, I enjoyed the story that much more. Overall this book has promise, and I do recommend you give it a go. Like I said the plot is good, and the twist and turns are engaging and interesting. Though I have mixed feelings, you might have a completely different reaction. So please take my recommendation and my approval, that this book will give you the creep factor and have you questioning when a seemly platonic relationship is normal, or abnormal. The Mother-in-Law is the first book I have read by Judy Moore, but I would definitely read more. The description got me interested, and the story kept my interest until the end. Based on the title and description, I knew something was going to be up with the mother in law, and it was fairly predictable, but still had some twists along the way. The story was descriptive enough, and had enough suspense to keep me hooked until the end. Victoria meets Brad at a work convention, and they are instantl The Mother-in-Law is the first book I have read by Judy Moore, but I would definitely read more. The description got me interested, and the story kept my interest until the end. Based on the title and description, I knew something was going to be up with the mother in law, and it was fairly predictable, but still had some twists along the way. The story was descriptive enough, and had enough suspense to keep me hooked until the end. Victoria meets Brad at a work convention, and they are instantly attracted to one another. They begin hanging out, which soon leads to dating. By the end of the month, they end up married, while living on opposite sides of the country. Victoria packs up her life in California, and moves to Florida to live with Brad and his 5 year old son. She knows he is a widow and his mother is taking care of his son in his absence, but knows little else of his life or past. His house is beautiful, and literally on the beach, and she soon falls in love with his son. Everything seems perfect, except the new mother in law. Victoria instantly notices something is off about the woman. Her behavior, comments she makes, and her relationship with Brad and his son, make Victoria uneasy. Before long, Victoria finds herself in the middle of a web of lies and secrets. When things are too good to be true, chances are, you might be right. Victoria agreed to marry Brad Reynolds after only a month of dating, thinking her dreams of a happily ever after are about to come true. After leaving her job and moving across the country with Brad, she finally meets his adorable son, Andy, and his mother, Madeline. Her mother-in-law, however, isn’t exactly what she hoped for. As Victoria’s life begins to unravel, she realizes she’s made a hasty and possibly dangerous mistake. Though she loves Brad and now Andy, she can’t stay in Madeline’s hou Victoria agreed to marry Brad Reynolds after only a month of dating, thinking her dreams of a happily ever after are about to come true. After leaving her job and moving across the country with Brad, she finally meets his adorable son, Andy, and his mother, Madeline. Her mother-in-law, however, isn’t exactly what she hoped for. As Victoria’s life begins to unravel, she realizes she’s made a hasty and possibly dangerous mistake. Though she loves Brad and now Andy, she can’t stay in Madeline’s household forever, but leaving isn’t an easy thing to do. Wow! What a great mystery. Victoria is definitely a strong woman for putting up with all the crap she did. I felt sorry for Brad. His mother has manipulated and brawl beat him all his life, so it’s no wonder he was a weak man and obedient son. I couldn’t respect him at all. Madeline, though the villain, was the most interesting character in the story. She was so controlling and vicious, a great actress. The climax kept me on the edge of my seat. Really entertaining! I don’t normally read mysteries, but the blurb for this story sounded interesting. If you love a good sabotage and murder mystery, give this book a chance! Disclaimer – I volunteered to read and review this book. Thank you, Judy Moore, for sending me an ebook copy. I am not paid or compensated in any way, shape, or form for this review. I will not change or alter this review for any reason unless at my discretion. I finished this book yesterday and had to let my mind process what I read before I wrote this review. This is my second book by this author and I think I have some of the same feelings as after finishing the first one I read. Definitely a great mystery involving some of the characters in this story and even though it had a whirlwind romance involved, the way it was written made it feel very real, not forced. I lost my mother-in-law a few years back and our relationship was never the greatest since I took her youngest of 7 sons, it still made me wish I could hug her by the time I finished reading this story. I guess the only seriously confusing part was, why in the heck did it take Victoria so long to make the decisions she made. I wouldn't have lasted a day! I'm not going to go into any detail regarding this story..You have to read it to truly appreciate it, and I can absolutely see this book becoming a made for TV movie. The ending had me wanting to scream, throw my kindle, and cry all at the same time. This author has become someone I look forward to reading. She messes with your mind and you don't even realize it is happening while your reading. I Love That. Can't wait to see what she has in store for us next! This was a one sitting read for me...Loved It!! a great read about one mothers controlling influence over her sons life. Victoria has fallen in love with Brad in Las Vegas and marries him in a whirlwind romance. She moves with him to Brads family home to meet his son. However, when she arrives she discovers his mother is staying there. intimidated, she realises Brads mother does not like her but tries to make the best of the situation. but when the dislike turns to hate and things escalate and strange events ovvur, will Brad choose between th a great read about one mothers controlling influence over her sons life. Victoria has fallen in love with Brad in Las Vegas and marries him in a whirlwind romance. She moves with him to Brads family home to meet his son. However, when she arrives she discovers his mother is staying there. intimidated, she realises Brads mother does not like her but tries to make the best of the situation. but when the dislike turns to hate and things escalate and strange events ovvur, will Brad choose between the love of his mother or his new wife? 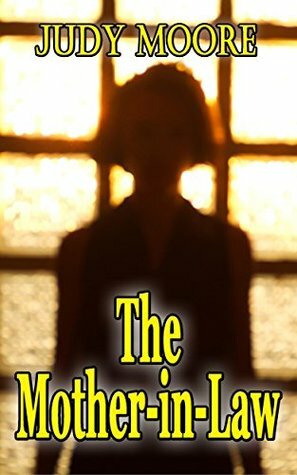 The Mother-in-Law is a shocking psychological thriller by Judy Moore. It is a story that will astound, anger and impress you. Astound you in the way a sinister mind works. Anger you because of the audacity and evilness that lurked on top of the surface, but is completely looked over by some. Impress you with the intricately twisted and spellbinding way in which it is written. A young woman does the seemingly innocent thing of falling in love. It should have been the best time of her life, and it The Mother-in-Law is a shocking psychological thriller by Judy Moore. It is a story that will astound, anger and impress you. Astound you in the way a sinister mind works. Anger you because of the audacity and evilness that lurked on top of the surface, but is completely looked over by some. Impress you with the intricately twisted and spellbinding way in which it is written. A young woman does the seemingly innocent thing of falling in love. It should have been the best time of her life, and it started out so well, but then she met the Mother-in-Law. Harsh and cold, it wasn't easy getting to know her, but our leading lady persevered and wanted to have a good, healthy relationship with her. But things did not add up, and no matter what our lady did, it was frowned upon. The leading man just wanted everyone happy, and sometimes just did what he needed to keep the peace. A thrilling read that frustrated me immensely, but kept me riveted to these words. The Mother-in-Law was astonishingly and powerfully written. Many eye popping scenes that defied human compassion and feelings for man and family. It illustrates the ugly nature of a psychopath, and the lack of conscience these monsters display. A mind twisting suspenseful drama that had me glued to each word. 5 stars. The Mother In Law is full of suspense with so many twists and turns in the story. This was my first book my Judy Moore and it had me hooked from start to finish, so much so that I read it all in one sitting as I couldn’t put it down. Victoria and Brad have a whirlwind romance while away working in Las Vegas and get married. Victoria leaves her whole life behind to move across the country to be with Brad and his 5 year old son Andy. What Brad fails to tell Victoria is that he lives with his mothe The Mother In Law is full of suspense with so many twists and turns in the story. This was my first book my Judy Moore and it had me hooked from start to finish, so much so that I read it all in one sitting as I couldn’t put it down. Victoria and Brad have a whirlwind romance while away working in Las Vegas and get married. Victoria leaves her whole life behind to move across the country to be with Brad and his 5 year old son Andy. What Brad fails to tell Victoria is that he lives with his mother Madeline. You hear many stories and jokes about wicked mothers in law but none can be as bad as Madeline. She makes it perfectly clear from the beginning that Victoria is not good enough to be a wife for Brad or a mother to the adorable 5 year old Andy. She makes Victoria’s life hell from day 1 and Brad is too weak to stand up to his mother. Victoria begins to realise that her life may be in danger if she stays there any longer as the Mother in Law is clearly unstable. I went through so many emotions reading this book. Hate for the very wicked Madeline, pity for Victoria and frustration at Brad for not standing up to his mother and for not realising what she was up to. This was an excellent read and I’d love to read more by this author. The Mother-in-Law By Judy Moore is a suspense / romance story.I was hooked from the beginning to the end. This author's style of writing draws you in and holds your attention to the end.This is my first book by her and it definitely won't be my last.Theres a few twists and turns that had me on the edge of my seat. This story is about Brad and Victoria, they are both in Las Vegas for a work conference. What Victoria didn't realize was how much her life was fixing to change by meeting Brad.These two begun to hang out everyday and before the conference was over Brad proposes and they get married,and she's now moving to Florida with her new husband. Brad fails to mention that he lives with his mother and his five year old son..I didn't like the Mother-in-Law off the bat,I knew there was something about her?There are some secrets being kept what will happen when those secrets are found out? Sometimes things aren't as they seem.There are a few things Brad never told Victoria about,How does she react when she finds out? Brads a bit of a pushover not standing up to his mother letting her push him around. I highly recommend this book especially if you want to know how things end up .I can't wait to read more from this author.